I’ve joined as a member but I can’t see the exclusive content, please help! This confirmation process (between our system and third party payment gateway) is usually instant, but in some cases can take a number of minutes or hours. Please try again soon, and get in touch if your problem persists. 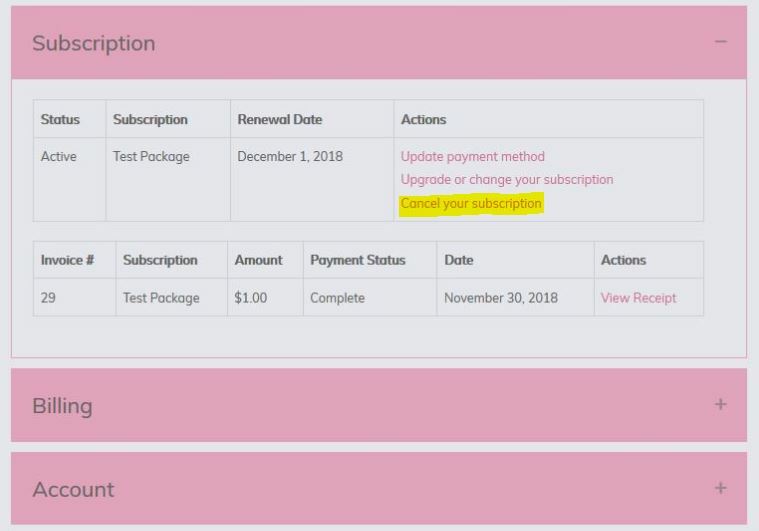 Note: You do need to submit valid credit card details or PayPal account for any subscription to activate, including when joining with a free trial. If your access not working after troubleshooting these two possibilities, please email raise a Tech Support ticket and our computer fairies will sort it out for you! If you have provided us with the email address your Facebook account is linked to, we will send you a request to join the group within 3 working days of you joining PoleSphere. However, if you would like to fast-track your approval, go to your account management page. Click the button which says ‘Members Lounge’ (grammar fiends, we know the apostrophe is missing - for aesthetic simplification! ), and you’ll go straight to the group where you can click to join. We can approve you this way within 24 hours. I’m trying to watch a video but it won’t work, what is wrong? If you are getting an ‘oops’ notice, we may be updating or upgrading the tutorial you are trying to watch and in the process of working on it - this will happen from time to time as we are constantly improving our videos! If the problem persists, please get in touch to let us know. If you are getting a black screen, it’s possibly an issue in the back end. Please contact us to report this, if this is the case. If you can see an image on the screen but it won’t play, it could be something wrong at your end. Check your connection refresh the page to try again! If I’m joining for a free trial, why do I need to submit my credit card details? We totally understand your concern! PoleSphere’s is a membership site that operates on a rolling billing cycle, much like your other subscription services such as Netflix, Spotify, etc. That means to activate your membership (trial or otherwise) we need you to authorise your credit card or PayPal account for future payments. When joining with a free trial, you will only be billed if you're still a registered member at the end of the trial period. You can cancel your subscription at any time. Will I automatically be billed? Yes. If you are happily enjoying PoleSphere you don't have to lift a finger to keep your access current! Your credit card or PayPal account will be automatically charged on a regular monthly basis. If you're joining with a free trial, you will only be billed if you're still a registered member at the end of the trial period (see cancellations for more details). You are welcome cancel your subscription at any time via your account management page (click to expand the 'Subscription' section). Cancellation before your free trial expires will result in no charge to you. Your access will remain active for the remainder of your 'paid-up' month (ie until your renewal date / next billing cycle) so you can continue enjoying members-only content until then. Please find our full policy on payments, refunds and terminations here: Terms & Conditions.